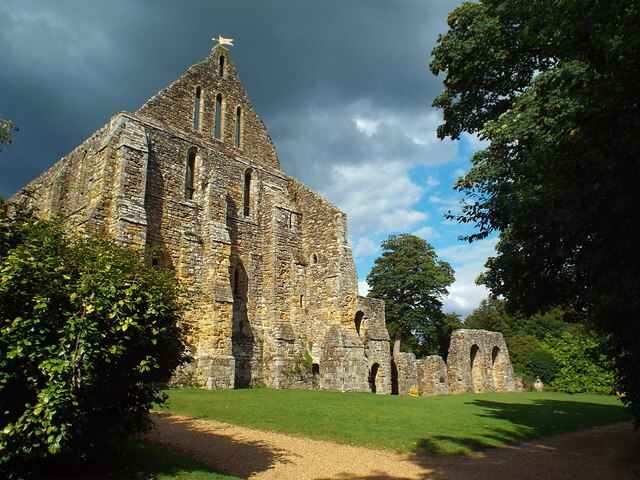 Dark clouds forming over the ruin of Battle Abbey. The abbey was built at the site of the Battle of Hastings (1066). Battle Abbey is a partially ruined abbey complex, built on the scene of the Battle of Hastings and dedicated to St. Martin.